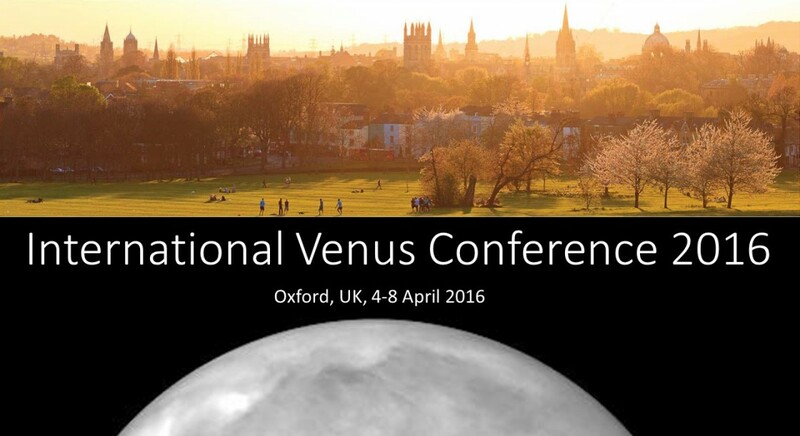 The International Venus Science Conference was held on 4-8 April 2016 in Merton College, in the heart of the collegiate University of Oxford, U.K. This was the latest in a series of earlier Venus conferences held in La Thuile (2007, 2008), Aussois (2010) and Catania (2013). The conference included presentations on all aspects of Venus science, from the interior to the magnetosphere and everything in between. Comparative planetology talks (highlighting parallels with other planets in our solar system or with exoplanets), and presentations related to future missions or investigations, were also included. The programme comprised invited and contributed talks, as well as posters. The conference was attended by 140 scientists from 15 countries. The International Association of Meteorology and Atmospheric Sciences. This sponsorship allowed financial support of 23 students, as well as a subsidy towards venue costs.